To travel to Scandinavia by car you will always have the option to go by road, but depending on the destination it can take a long extra drive. So in this post I want to show you the best options depending on a global destination and starting within continental Europe. I will also get your attention on BroBizz. It is a payment system for the Scandinavian roadtrip. You can pay almost all of your ferry, bridge, toll roads and parking spaces. We do not have it ourselves, because I always thought it is too expensive as we do not travel each year to Scandinavia. But I took a look for it once again and I found out that you can pay so much with it and in some cases you get a great discount. So take a look if it is interesting for your personal case. For the biggest part of Denmark the best option is to keep your car on the road. This will work for Jutland and Funen. Going to Zealand you will have to pay. The options are taking the paid Great Belt Bridge between Funen and Zealand. Or taking the Scandlines ferry from Germany (Fehrman or Rostock). Or taking the Polferries from Poland. Driving to Sweden you can keep your car on the road. Then you will use both the paid bridges, which are The Great Belt Bridge and The Oresund Bridge. Or you can also combine taking a ferry and the bridge. 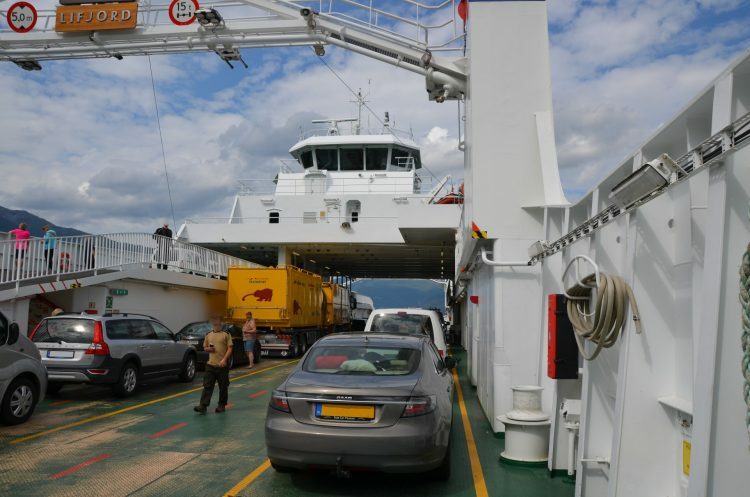 Then you take Scandlines ferry between Puttgarden in Germany and Rødby Havn in Denmark. Driving through Copenhagen and there you take The Oresund Bridge to Malmö in Sweden. This is the way we used to drive every time, because it will brings us with caravan in one day in Sweden (10 hour drive including stops). However once we were not allowed to take the Fehmarnsund bridge due to weather conditions and we ended up on a parking lot for the night. At night and the next morning we still couldn’t driving over the bridge. So now we watch the weather carefully for the Fehmarnsund bridge. Travel to Finland is also possible while keeping your car on the road. But if you want to go straight to Finland then you can take the Finnlines ferry from Travemünde in Germany to Helsinki in Finland. Other options would be from Sweden, but that is not continental Europe. 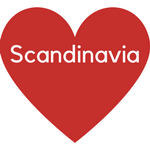 Other ways of travel to Scandinavia can be found here Destination Scandinavia. Did I miss ways to travel to Scandinavia by car?